Though the M65 isn't new to the market, its continuation into the Corsair Gaming lineup comes as no surprise and in this scenario the saying 'If it isn't broke, don't fix it' certainly rings true. 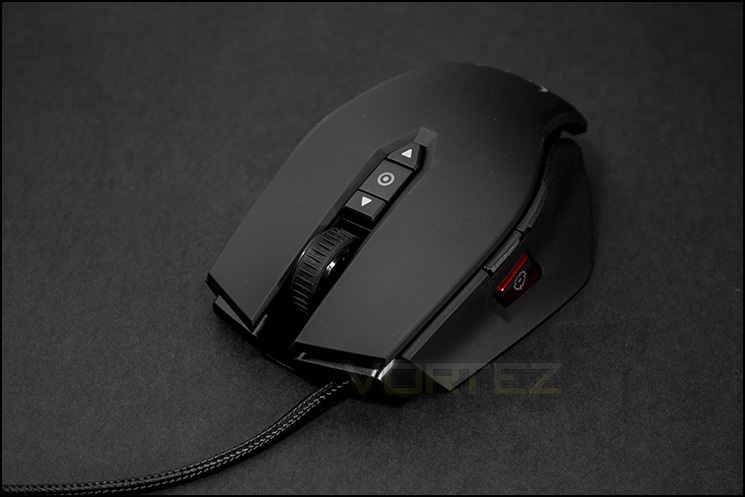 The Corsair M65 is a mouse on the heavier side of things that is dedicated to FPS gamers, we see the oversized sniper button returns that can drop your DPI from up to 8200 down to 50 (the Sniper button is at 400 default), this allows you to get that extra control and precision just when you need it. As this is the RGB version, customisation hits the maximum with 16.8M colour LEDs in addition to 8 programmable keys and 5 levels of on the fly DPI adjustments (including the Sniper button). So if you are a person that desires absolute control and customisation, you may find what you need with the M65. Corsair is a global company bringing innovative, high-performance components to the PC gaming market. Specializing in very high performance memory, ultra-efficient power supplies, and other key system components, our products are the choice of overclockers, enthusiasts, and gamers everywhere. Founded as Corsair Microsystems in 1994, Corsair originally developed Level 2 cache modules for OEMs. After Intel incorporated the L2 cache in the processor with the release of its Pentium Pro processor family, Corsair changed its focus to DRAM modules, primarily in the server market. In 2002, Corsair began shipping DRAM modules that were specifically designed to appeal to computer overclocking enthusiasts. From its roots in high-performance memory, Corsair has expanded its award-winning product portfolio to include ultra-efficient power supplies, builder-friendly cases, ground-breaking CPU coolers, blazing-fast solid-state drives, and other key system components. Corsair has developed a global operations infrastructure with extensive marketing and distribution channel relationships. Corsair’s products are sold to end users in over sixty countries worldwide, primarily through leading distributors and retailers.